If you have a garden and have zucchini, I'm sure you've been like myself, up to my eyeballs in those versatile veggies! Usually by this time my zucs have been slowing down and dying. Nope, not this year! I couldn't even begin to tell you how many pounds upon pounds I've picked. I have really gotten creative this year in finding new ways to use them. In the past, I've made zucchini lasagna which is great if you are avoiding processed carbs. I also make my grandma's zucchini relish which everyone loves! 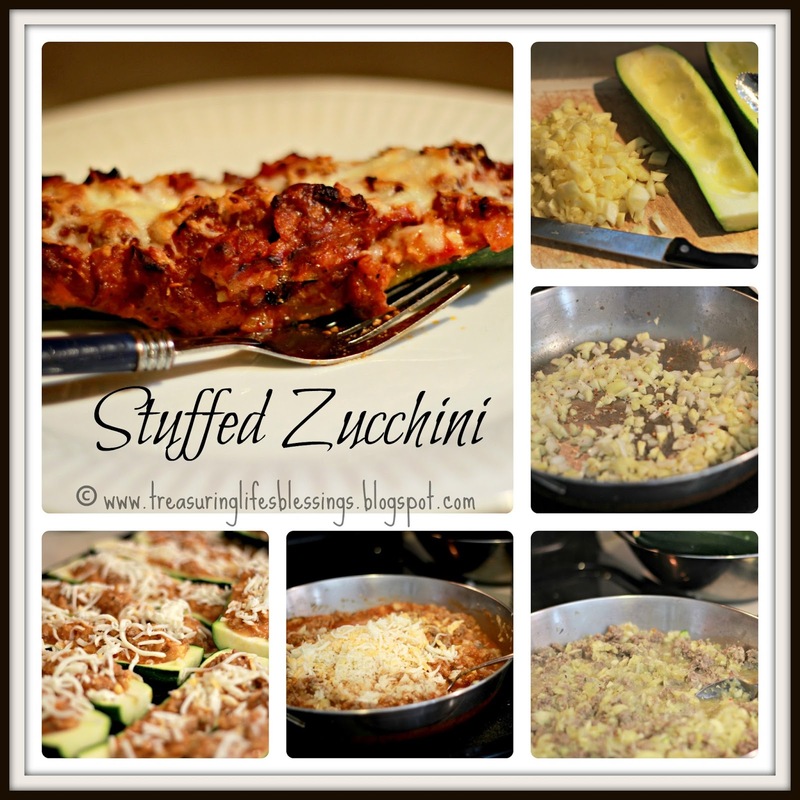 Today's ravishing recipe is stuffed zucchini! Another healthy, no processed, low carb meal. Let me tell you, this has been a hit in my house! My kids absolutely love this dish. In fact, I wanted to see how well it froze so after I assembled one, I froze it completely then took it out of the freezer & put it right into my toaster oven to bake. Guess what?!?! It came out perfect and wasn't mushy at all. So you know what that meant? I made several trays of stuffed zucchini in perfect individual portion sizes (usually a quarter section), flash froze them and popped them into ziploc bags. My kids pull one out to pop in the toaster oven for an easy lunch!!! Just a note, this is an approximate recipe. Honestly, I just threw this together with no specific recipe so it was sort of tough for me to sit down and come up with an actual recipe to share. I also made a huge batch of this, more than what this recipe calls for. The basic jist is to saute up meat of your choice with some onions, garlic & seasonings (I used a mix of ground sausage, turkey & beef). Toss back in the zucchini you scooped out. Add some sauce & cheese to the mix plus some seasonings. Stuff the zucchini, bake, sprinkle some cheese on top & broil a few minutes. You could add mushrooms or even pepperoni to the filling mix. Have fun with it and personalize it to your taste! Halve 4 of the small zucchini lengthwise and scoop out the seeds and soft center flesh with a spoon to produce a set of shallow shells to hold the stuffing. Reserve the center flesh. Arrange the small hulls in a baking dish. Drizzle with a little extra-virgin olive oil and season with salt and pepper, to taste. Chop the reserved zucchini flesh and set aside. Heat the remaining extra-virgin olive oil in a skillet over medium-high heat and saute the onions and garlic for 5 minutes. Add in ground meat & cook till done. Add in the reserved zucchini and tomatoes & parsley/basil, season with salt and pepper, to taste and heat through for 1 minute, then remove from the heat. Add in some spaghetti sauce to taste. Also add some cheese to the mix. Mound the zucchini stuffing in to the shells and roast for 15-20 minutes. Remove from the oven, sprinkle the tops with remaining cheese and broil for 2 to 3 minutes to brown. If you want to freeze the zucchini, omit the baking step & flash freeze. To cook, put on baking sheet straight from the freezer (do not thaw), bake at 425 for approximately 30 minutes or until heated thoroughly through. Turn to broil for the last few minutes to make a crispy, cheesy top. 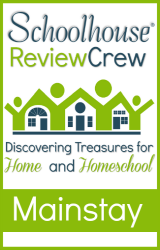 Check out more of my recipes! I've never tried stuffed zucchini. This sounds delicious, and I like the convenience of the freeze ahead version. Thanks for sharing!